Dr. Asad Usmani grew up in East Islip. After high school, Dr. Usmani gained admission in an advanced 7-year BS/DMD dental program. He graduated from Adelphi University with a Bachelor of Science degree, and received his D.M.D. from Tufts University School of Dental Medicine. He then completed a General Practice Residency at Stony Brook University Hospital. Dr. Usmani has received additional extensive training in all phases of dentistry, including pediatric, endodontic, implant and cosmetic dentistry. He is an active member of the American Dental Association, New York State Dental Association, Suffolk County Dental Society, and the Academy of General Dentistry. 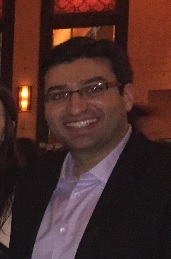 In his spare time, Dr. Usmani enjoys traveling, fishing, and dining out with his wife and family. Dr. Usmani strives to provide his patients with a pleasant dental experience while addressing their concerns. He looks forward to serving you and your family!